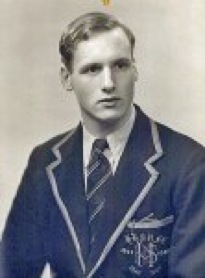 We were delighted recently to chat with Ronald Stirling, a former pupil at Hillhead High School. Ronald helped us solve the mystery of the two styles of HHS cap that had been puzzling us for a while. Honours cap - awarded for appearances in the Rugby XV. It was initially thought that the school stopped issuing these caps sometime before the second world war but George Blackie says otherwise.... "I have my Honours cap identical to the left hand photo which I was presented with along with my 'colours' from 1958 to 1961". 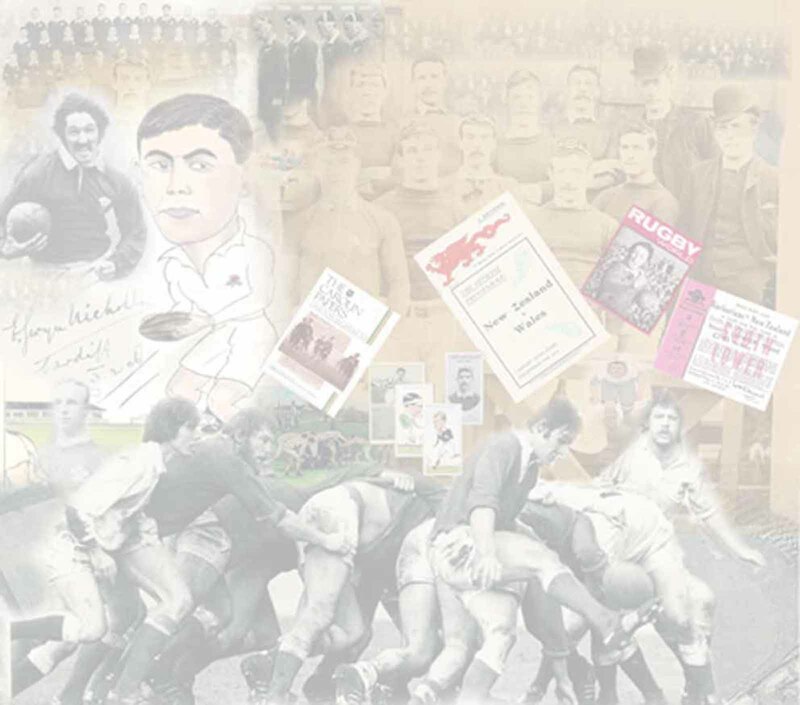 He says of it "In my day the cap had a cross band of the school colours & the intertwined HHS emblem, if you had been capped for the 1st XV you were entitled to add the Gothic H.H.S.R.F.C. letters & the dates". Ronald J. Stirling, Ian A. Ross ( Scottish Internationalist), T.E.S.Fergusson (Capt), Ian Fraser, George Allen. (Memories of Ronald Stirling)............STRIPED SOCKS AND MORE…………… "you may notice that I was not wearing, striped socks they were bright RED, because the striped socks had not been awarded to me yet! 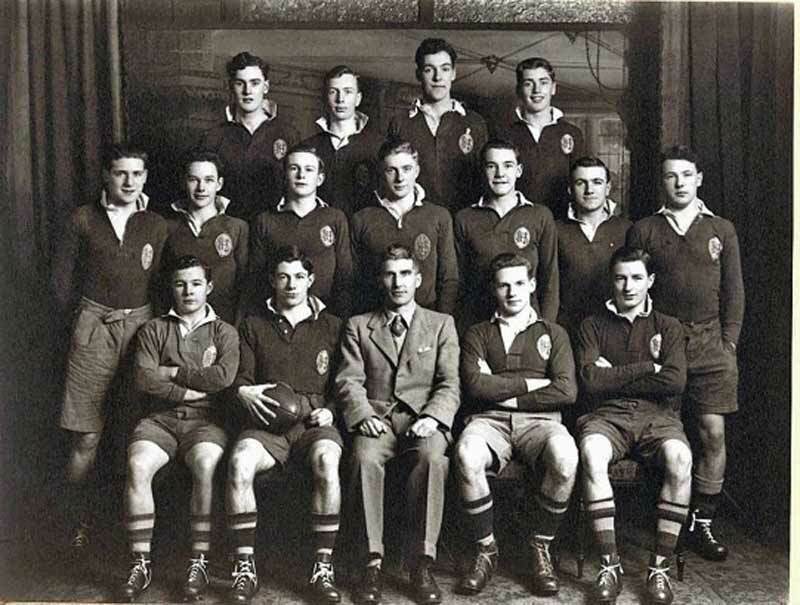 This match was @ Glasgow Academy's Old Anniesland Grounds 1946. I sometimes think I was awarded my striped socks that Xmas so I would stop wearing them. 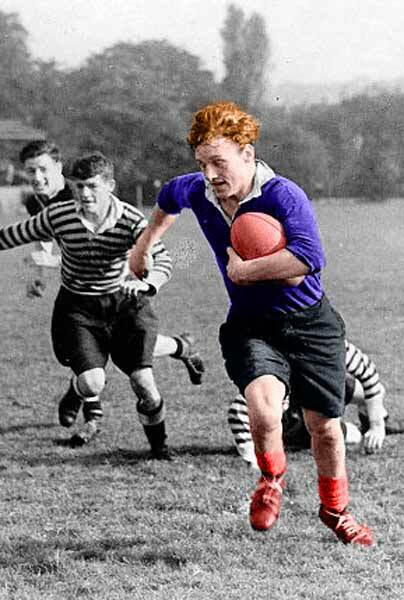 When you were first selected to play for the 1st XV, after several rigorous trial matches run through the summer, you were by no means a permanent member, you were on trial, and not entitled to wear striped socks in the school colours. At Xmas time if you were considered to be worthy of being a full member you were awarded the right to wear them, by a posting on the Rugby notice board! On the street that I lived on there was a family Brown, four sons and a daughter all 'Hillheadites', all the boys were killed in the war. Mrs Brown gave me her son John's rugby togs including his socks, the ones I am wearing in the 7-aside portrait. The last clear memory I have of him was one snowy winter I was 12-13, he was across the street he made a snowball & heaved it at me, I bent down & it caught me squarely in the right ear. That's the way seniors treated juniors at HHS ! 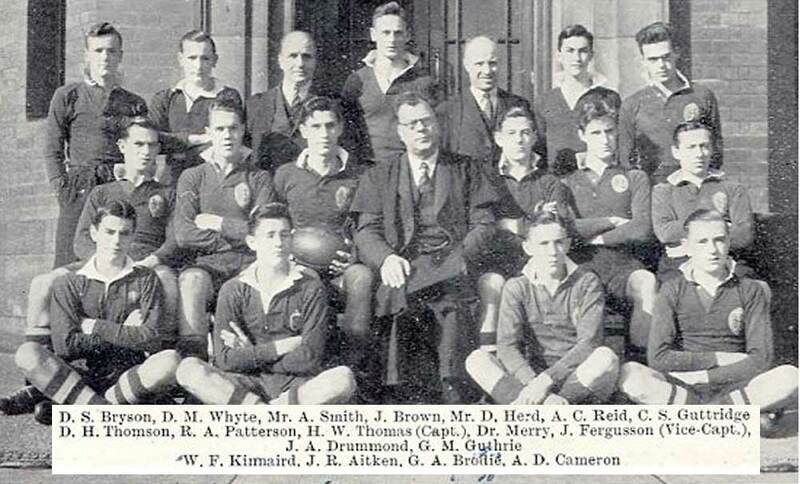 John is the tall chap centre, back row in the photo below, and sitting 2nd on the right of Dr William J Merry (Headmaster, a great man). 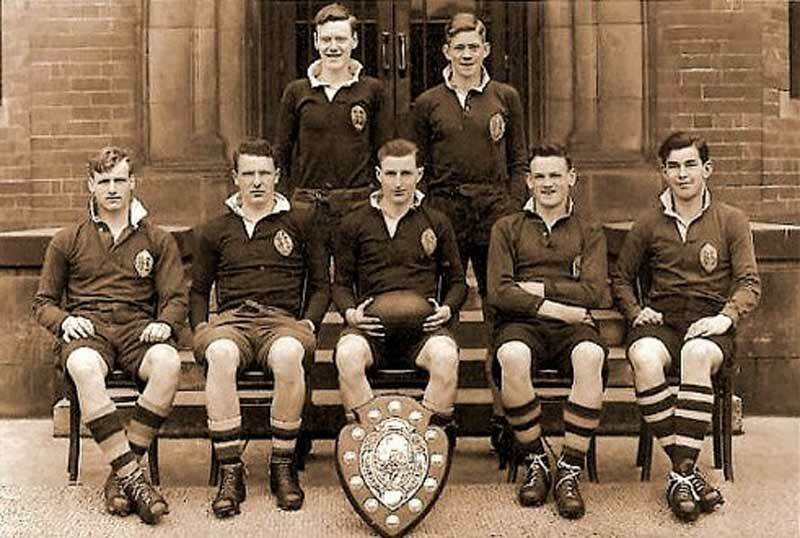 Standing on his right in the Rugby photo is a very famous Gym teacher ( as they were called in my day) Mr A. Smith - 'Smithie'. His idea of a Gym period was to play "SCREWNECK", whoever had the ball could have his neck screwed until he dropped it, great training for Rugby ! We are particularly keen to add a short history of the Former Pupils club, any information will be gratefully received and acknowledged.